Get a warm sounding mix, like music used to have! Many music freaks will tell you that music has lost it's warmth these days. With everything digital, the sound that recording to tape provided, is long gone. 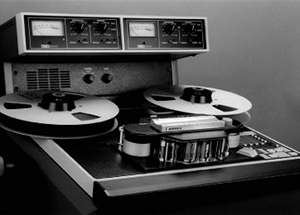 Well, here is a nice trick if you still have access to an old school reel to reel tape machine. You can record everything in Pro Tools, then mix it, and bounce it to 2-track tape, then bounce it back to digital for mastering. You still get the convenience of tracking digitally, while also replacing that warm tape sound. Try it out!